The European Qualifications Framework (EQF) will relate different countries' national qualifications systems to a common European reference framework. Individuals and employers will be able to use the EQF to better understand and compare the qualifications levels of different countries and different education and training systems. For example: At present, an enterprise in France may hesitate to recruit a job applicant from, say, Sweden, because it does not understand the level of the qualifications presented by the Swedish candidate. But once the The European Qualifications Framework (EQF) is fully implemented, a Swedish person's certificates will bear a reference to an EQF Reference Level. The French authorities will have already decided where their own national certificates in the field concerned lie, so the French enterprise would use the The European Qualifications Framework (EQF) reference to get a better idea of how the Swedish qualification compares to French qualifications. The The European Qualifications Framework (EQF) applies to all types of education, training and qualifications, from school education to academic, professional and vocational. The system shifts the focus from the traditional approach which emphasises 'learning inputs' such as the length of a learning experience, or type of institution. It also encourages lifelong learning by promoting the validation of non-formal learning like the one provided by Bircham International University. The EQF will make the current official validation (homologation) procedures unnecessary in most cases. Recognition of titles is an important instrument to facilitate the free movement of students and of graduates in Europe. Also at the occasion of the "Prague Ministerial Conference" on Higher Education (May 2001), "Ministers strongly encouraged universities and other higher education institutions to take full advantage of existing national legislation and European tools aimed at facilitating academic and professional recognition of course units, degrees and other awards, so that citizens can effectively use their qualifications, competencies and skills throughout the European Higher Education Area". In order better to understand the Community rules on the recognition of diplomas, a distinction must first be made between recognition for academic purposes (i.e. : you would like your title to be recognized because you wish to continue your studies) and recognition for professional purposes (i.e. : you would like your title to be recognized because you wish to work in a certain profession). There are not European provisions imposing recognition of diplomas (except for certain regulated occupations). That is why there are currently no diplomas that are recognized at European level for academic purposes. Universities, which are autonomous institutions, are entirely responsible for the content of their curricula and for awarding diplomas and certificates to students. The diplomas and certificates are recognized by the authorities of the Member State concerned. However, the European Commission has encouraged mutual recognition (for academic purposes) between the various education systems in Europe. 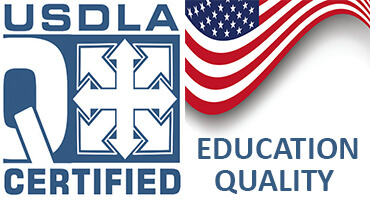 Certificates, diplomas and titles are commonly known as qualifications. Their purpose is to show employers, training providers and individuals what the person holding the qualification has learned and can do. Every country issues many different qualifications. But for the European labour market to work as intended – that is, for European citizens to be able to work in any EU country – employers, schools and education authorities need to understand what qualifications from other EU countries represent. The ECTS credits and the European Qualifications Framework (EQF) play an important role towards this goal. Cedefop helps to achieve this mutual understanding by contributing to the concept, design, development and implementation of common European instruments and principles in education and training. These are designed to help people progress through education and training at any age, to change career or move abroad for work or further education. They are also expected to lead to greater consistency in employment, education and training policy throughout Europe. In addition, ESCO, the classification of European Skills/Competences, Qualifications and Occupations aims at providing a single language for all jobseekers, employers and educators. Cedefop gives high priority to strengthening synergy and coherence between the EU tools an issue critical for their further implementation and a condition for strengthening their relevance and usefulness to end users. Contributing to the above, Cedefop will support the Commission’s initiative to set up a ‘European area of skills and qualifications’. The purpose of this initiative is to clarify how the European tools can be better connected and further developed in the period 2015-2020. Cedefop will systematically address existing and potential links between the tools and indicate where simplifications and synergies are possible. The European Qualifications Framework (EQF) for lifelong learning considers the possibility to obtain a full or partial qualification on the basis of non-formal learning like the programs offered by Bircham International University. The European Qualifications Framework has defined 8 levels of learning outcomes that will facilitate the validation of any system of qualification in lifelong learning and non formal education because recognizing all forms of learning is a priority of EU action in education and training. 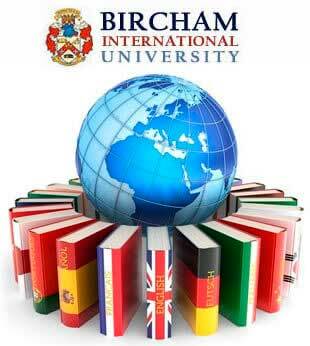 Bircham International University may issue a European Qualifications Framework (EQF) report about each course or subject passed. Contact your BIU office for more info.